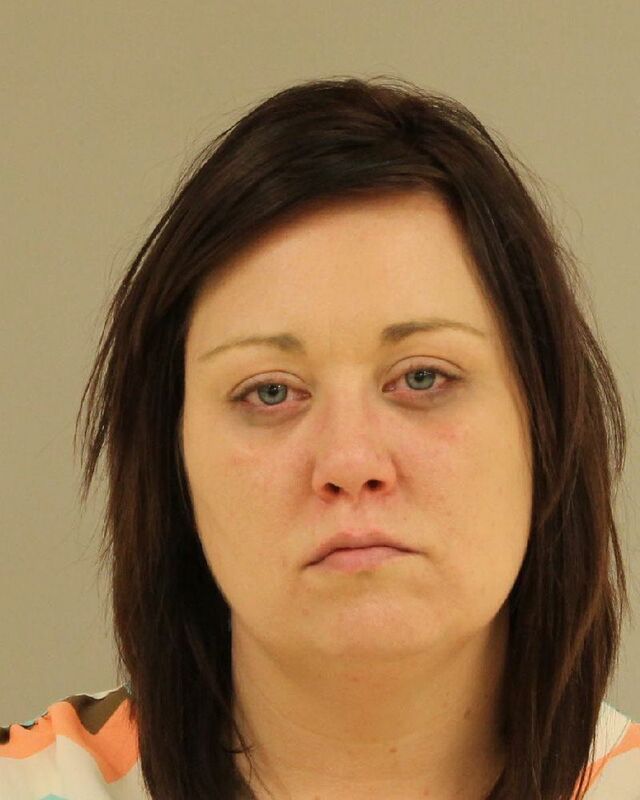 GRAND RAPIDS, Mich. (WZZM) – For more than a decade, Shannon Marie Schelling has had a problem keeping her hands off of other people’s money. The Cedar Springs woman with two embezzlement convictions took an office job at H2Oasis near Rockford about three years ago. It didn’t take long for money to start disappearing. That faceoff took place in Kent County Circuit Court, where Schelling appeared for sentencing on a conviction of embezzlement of more than $100,000. With that, Quist sentenced Schelling to serve between 5 and 20 years for embezzlement and 1 to 2 years for lying to police during the investigation. Sentencing guidelines called for a minimum term of between three and five years. Schelling, 38, who changed her name back to Orr, is in the Kent County Jail today, awaiting transfer to state prison. Her attorney attributed the embezzlement to “someone in the throes of addiction,’’ a woman in the middle of a divorce and grappling with issues involving her children. “Her whole life has substance abuse issues,’’ attorney Jonathan Schildgen said. H2Oasis attorney Andrea Crumback slammed the former office accountant for the personal and professional carnage she wrought on a company started by Brill more than 20 years ago. It specializes in fireplaces and sprinkler systems and has an A+ rating from the Better Business Bureau. Crumback pegs losses to the company, which has stores in Gaylord, Nunica and White Cloud, at more than $200,000. Crumback teed off on Schelling’s behavior after the embezzlement came to light, accusing her of using a garage sale website to sell items bought with Brill’s money. The inventory includes a golf cart and lawn tractor. “Here she is, making money off of the things she stole from him and he is being destroyed while she’s laughing in our faces,’’ Crumback said. She filed a civil suit against Schelling to recover some of the losses and to keep her from squirreling away assets. A settlement in that case was reached but terms are confidential. Crumback estimates the amount still owed to be about $132,000. That will be hashed out at future restitution hearings. The most recent embezzlement came to light when Brill discovered approximately $40,000 in missing cash flow and narrowed it down to Schelling, court documents show. He called Schelling into his office and she admitted to taking money in order to pay an attorney to "save her kids from being taken away from her,'' Kent County Detective Michael Hopkins wrote in a probable cause affidavit. She and her husband filed for divorce in July, 2012 and Schelling was granted custody of the couple's two children, ages 10 and 7. When Brill confronted Schelling on the missing funds, she agreed to repay the losses from her 401K fund, court records show. Schelling quit a short time later, leaving Brill to handle incoming credit card statements which he had not seen for several months, court records show. Brill noted several charges that did not belong to the company, so he asked for statements going back a year. In searching through those statements, he found more than $100,000 in charges that did not belong to the business, including $27,872 that went to a Paypal account, court documents show. Schelling contended the charges were for business expenses only. Brill was skeptical; it included visits to hair & nail salons and other purchases that aren't related to a business that sells fireplaces and sprinkling systems. Police obtained a search warrant for Schelling's home on Egner Avenue NE and found a folder containing 21 unopened Bank of America credit card statements and three separate checks made out to Bank of America from the business, a probable cause affidavit shows. A warrant charging Schelling was signed in May, 2015. In addition to embezzlement, Schelling was charged with lying to a peace officer, a two-year misdemeanor, for statements she made to Detective Hopkins regarding the location of a fireplace, court records show. Schelling was convicted in 2009 of embezzling more than $20,000 from Control Electric, 6725 Old 28th St. SE in Cascade Township. She had payroll changed so additional money was added to her paycheck, court records show. Schelling also took out a credit card in the company's name and got a Sam's Club card in her name under the company account, according to a probable cause affidavit sworn out in March, 2007. She pleaded no contest to misuse of a credit card. Three other charges, including embezzlement, were dismissed as part of a plea agreement. Kent County Circuit Court Judge Paul Sullivan sentenced her in September, 2009 to between 14 months and four years in prison and ordered her to pay $40,000 in restitution. She also has a July, 2003 embezzlement conviction in Mecosta County.